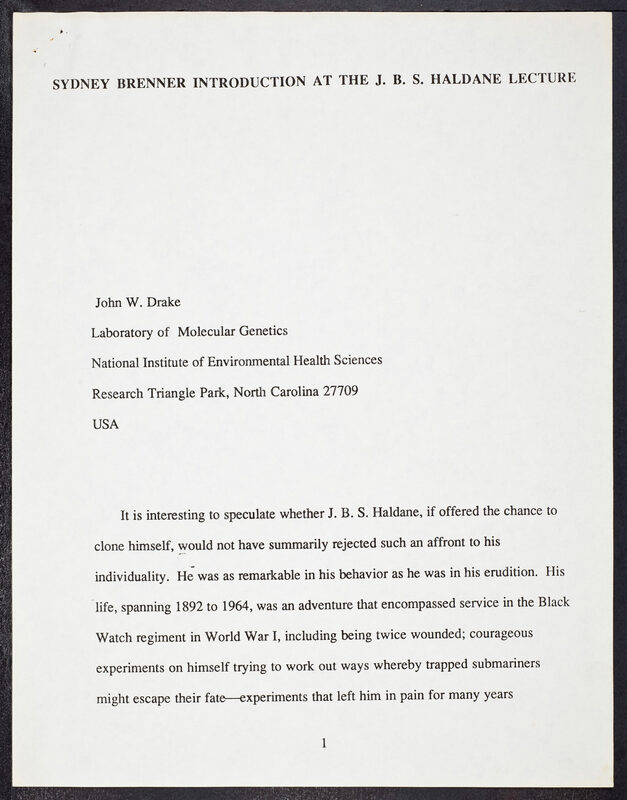 Brenner, Sydney~ Drake, John W.~ Haldane, J. B. S. (John Burdon Sanderson), 1892-1964~ National Institute of Environmental Health Sciences~ Speeches, addresses, etc. 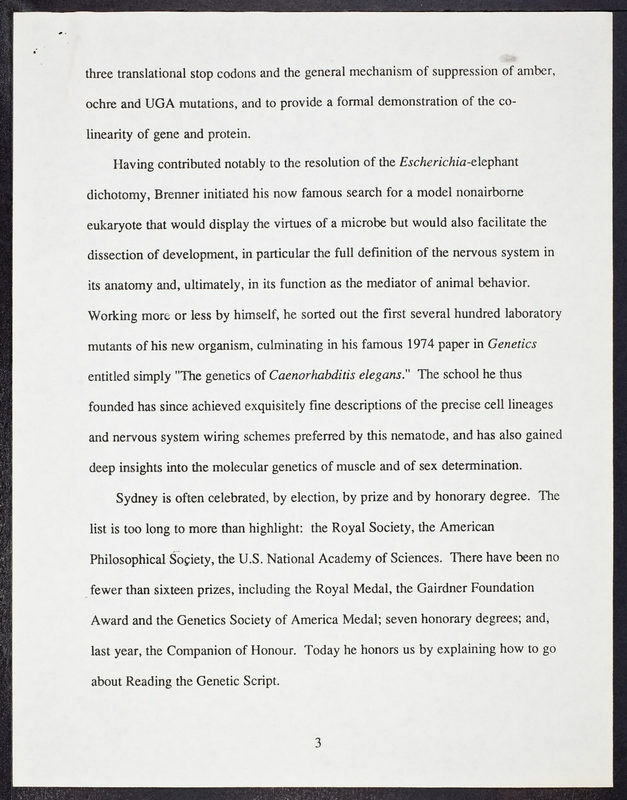 Drake, John W., “Sydney Brenner Introduction at the J.B.S. 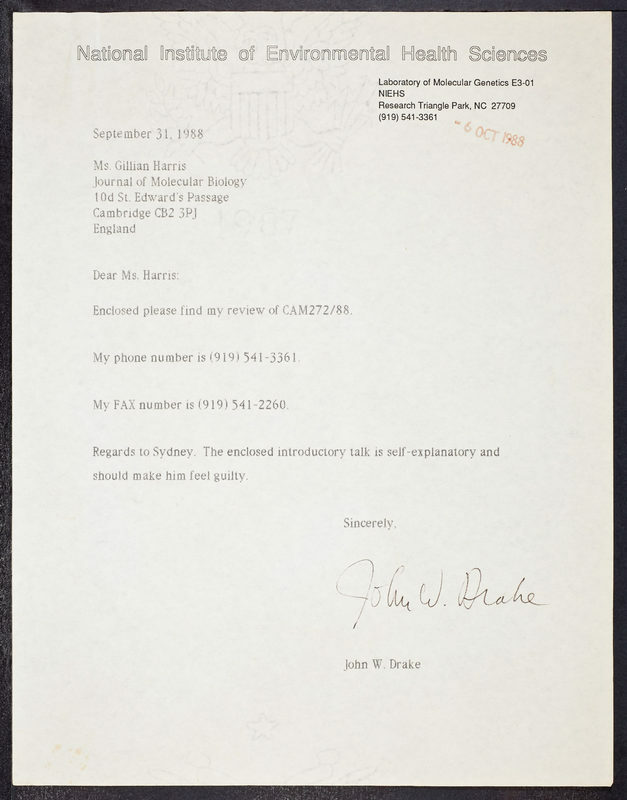 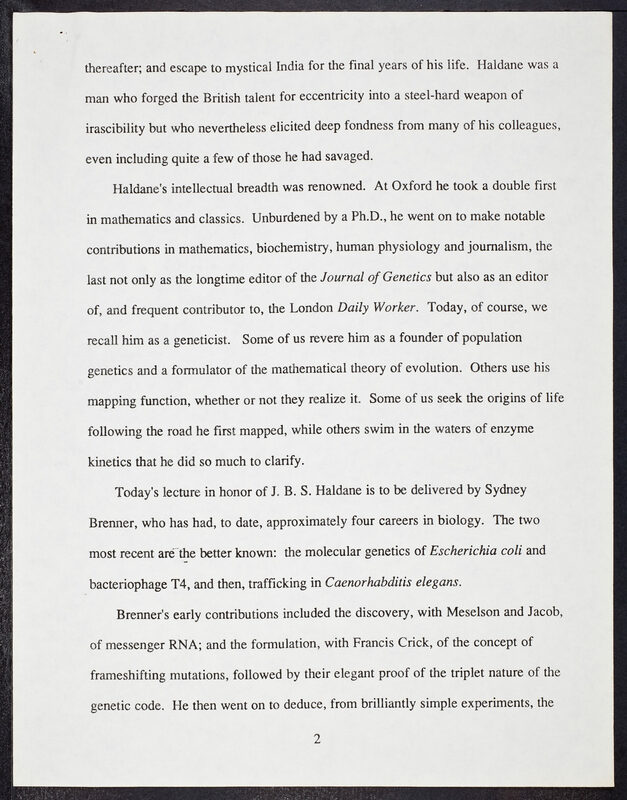 Haldane Lecture - John W. Drake - National Institute of Environmental Health Sciences,” CSHL Archives Repository, Reference SB/3/37, accessed April 21, 2019, http://libgallery.cshl.edu/items/show/74189.